The last stop on my whirlwind month-long European adventure was London. 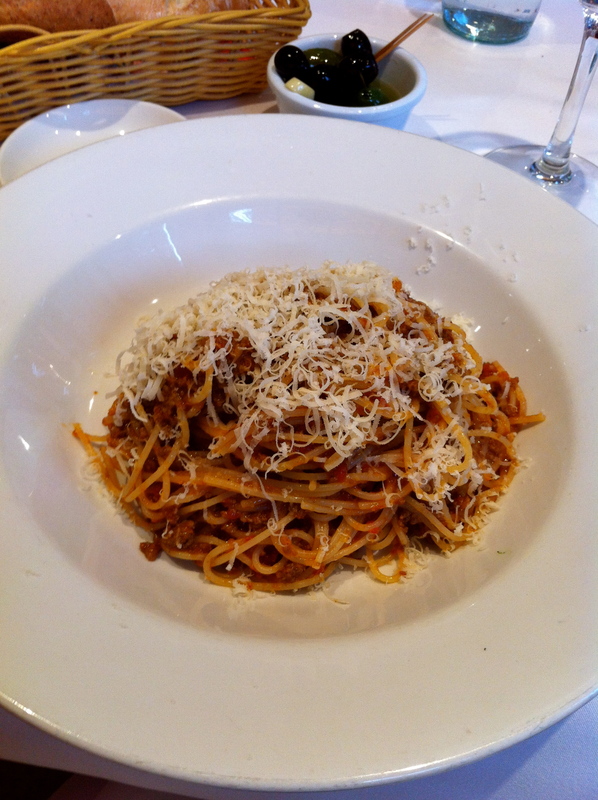 With Olympics hype at fever pitch, now is as good a time as ever to reflect on my bolognese experience in London. The character Sanka from the movie Cool Runnings put it best when saying “I’m feeling very Olympic today“, so as I sit and watch the replay of the Opening Ceremony from the city I visited only three weeks ago, I bring you my review on Bolognese in London. 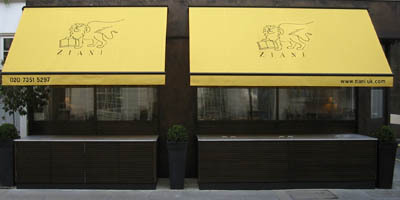 I took the tube to the uber posh area of Chelsea to taste the Bolognese at Ziani, a quaint corner restaurant on a residential street. I came across this place by a reader who emailed me some months ago suggesting I try this spot if ever in London. He mentioned that he too has sampled a fair amount of this beloved dish around the world, and declares Ziani his favourite. Big call. It smelled delicious and looked very appetising and refined with fine shavings of parmesan added to the dish the moment the plate hit the table. The colour of the sauce presented a dark brown colour, which did not alarm me. In fact, many of the sauces I have enjoyed most have presented more brown than red. The flavour of the sauce was wonderful. It was seasoned well, had depth of flavour and certainly had pow. I did find the balance was slightly off – it was more meaty than tomatoey, though I prefer this much more to the other way around. The biggest flaw for this one was the oiliness of the sauce which left a film in my mouth. Texturally speaking, the spaghetti was on the finer side and cooked to al dente. I think I would have preferred a thicker spaghetti. The consistency of the sauce was excellent – the sauce coated the pasta perfectly and it was the exact thickness I enjoy most. The size of the meat clumps were smaller than I prefer, and amongst the fine spaghetti they got a bit lost in the dish. Despite the few elements which were slightly off (mainly the overuse of oil and the small clump sizes), this spaghetti bolognese was very enjoyable and I can see why the person who recommended it to me enjoys it so much. I had a wonderful experience there, but would say the Tel Aviv bolognese I tried a few weeks earlier was far superior.